Given a free choice (what else is there?) where would you live? People attitudes to me reflect who I am and what I am; a white middle aged (whatever that means)European male. So when I travelled through South America I was often met with some degree of hostility as they thought I was from the U.S; their attitudes changed remarkably when I told them I was English. Also, I renounced all my worldly goods 8 years ago, so I have been a shoestring traveller, and dont have any sort of financial reserve to simply go and buy a property, anywhere in the world. So briefly, at first, where in the world? I had an organic farm in Portugal for 8 years (still owned by my son) would I return? Possibly but unlikely... Spain seems a better option on many levels and there are hundreds of abandoned villages and many existing communities if you are into that sort of thing. Im not personally. France is a beautiful country and west of the Rhine in the French part of the black forest is beautiful but the weather can be a bit bleak. The Pyrenees is a good option for free housing, and quite a good location. Germany is also quite beautiful in the south of the country, and the people are environmentally aware, but the level of control is ridiculous to my tastes. Switzerland is another stunningly beautiful place, but cold winters and the people do seem to be quite sad, again in my experience. I lived in an abandoned village in the north of Italy for a while, again much natural beauty, but not for me either. UK? Not for me, but I do love the countryside. I have travelled through many other European countries but havent stayed long enough to really comment. I was pleased to leave Turkey and wouldn’t settle there. India is one of my favourite countries but its getting harder to get visas, and long term it would be hard. Corruption is rife and when I last looked you could buy a residents visa for about US$500 in Kathmandu... Sikkim is my all time favourite place in India, though I lived in southern India for a few years. Nepal is stunningly beautiful, but a hard place to live. The poverty makes life for outsiders quite difficult. I was one of the few westerners to travel east through Nepal during the political and social unrest, what beauty! Stunning, but life threateningly dangerous. Further east Cambodia is a favourite of many of my friends, many of which never came back out, for all the right reasons; they had found their spot. Last I heard you could buy a residency for US$500. Laos/ Vietnam similar, but beyond my experience. Thailand is popular, especially with the Australians, and rightly so, beautiful and cheap and a friendly people. Australia was the disappointment of my travels to date, far too expensive and culturally lacking. New govt controls are draconian and it is an environmental disaster in the happening. I wont go back. New Zealand wins the prize for the most friendly people on the planet, and what beauty. I was offered a job in NZ and could have set up there, with residency, but there is something ‘missing’, it is the least spiritual country I have ever visited. “the land that yoga forgot”. I wasn’t sad to leave but do miss the majestic beauty of the south island. I was a while in Peru and Chile, and was pleased to leave both places, though my time in Peru was life changing (see Vidyas journey elsewhere in the mists for my account with ayahausca and the jungles). I had an offer to set up in Chile, buy I found the language and the people very hard. Sadly, they seem to like to cheat foreigners, it is a difficult place to set up. From what I briefly saw of other places, Brazil looks amazing, and such variety. Nicaragua is well talked about. So there’s a brief start, if anyone is interested... I met a woman who wanted to visit 100 countries, for some reason (a day trip and overnight stays in airports were ok in her personal game) and she asked me how many I had visited... I counted 39.. but the above are where I have spent enough time to make some judgement. I have selected my own ‘final’ base.. but if its ok I wont say where in open forum. Besides, I am not there yet, I need to re-finance before I head out. I've often thought that there were so many beautiful places in the world how does one choose. We've traveled extensively the western US and a bit through Europe. Some parts of Europe reminded me much of California with regard to the terraine. I enjoyed Italy and Vienna. Switzerland is stunning as is Austria and Germany. England was fun and France amazing. The drive to Budapest reminded me of the low lying hills in the Sacramento area heading on up toward the Sierras. One favorite place was Taos, New Mexico as the colors of red plataues was striking. The Grand Canyon also breath taking. We spent 9 years overlooking Yosemite and the San Jaquine Valley and 4 years in the forest in northeast Oregon where we have a house by the creek. The the deer walk through daily and there is lots of wild life but gardening is a real challenge given the elevation and being on the north facing side of the 9 thousand foot mountain with sun in our yard only 6 months. The average temperature is 22 degrees for almost six months out of the year. Yet, in summer and fall it is so beautiful. Hawaii is the best place for gardening because it can be done all year round. The climate at this particular elevation (1,600 ft) is nice and temperate as it is much hotter down along the coastlines. I've thought of relocating to other locations but my husband likes it here and has made many friends. The ideal for us would be to spend part of the year in Oregon and the winters in Hawaii. For now, as our daughter still has two more years in high school we'll stay put. Then I wanted to purchase an RV and just go on the road traveling around. So where do you think you will end up Vidya Moksha? I had also thought of a place in South America but just don't know if we're up to entering another culture at this stage of the game. Floyd wrote: Home is where the heart is. So true that's our home base and then we have free will to make choices of where on Earth we want to play the game and how. ... then we have free will to make choices of where on Earth we want to play the game and how. Unfortunately, this choice has not been given to say at least 6 billion people around the world. Only the citizens of US, Canada, Australia and the european countries belonging to EU are "allowed" to move around the world on their free choice. And this is something truly sad. Asians and those from India move around as well. Thank you for sharing your wide experience here. So far foreigners can own houses but you need to be Bulgarian to own the land though. My daughter in law is Bulgarian and told me the country is quite beautifull . Summer season is quite hot over there but winter can be very cold too. going to be possible for me. more easy but this is'nt unfortunately the case. In the meantime Home Base as mentioned above is the garden I tend. You are right Mal .Thank you for reminding me. Still a long way to go before the entire human race walks on our Mother as one united family. My heart is in my chest, and I carry that with me wherever I am. Same with my head, i carry that too. Which to use when selecting a base? Im afraid to say that 'following your heart' doesnt quite cut it for me, i couldnt divide myself into so many pieces. At the end of the day I am not lazy, but realistic, why not pick a location where growing and living is easy? Well one reason is one of the banes of my life: visas! This is quite definitely my planet and yet I constantly find people telling me I am not allowed to travel, or stay where I want, and always I have to pay for the privilege. So to overcome the 'fear' attached with doing what is in your heart is one aspect. I have decided to step outside the officialdom (unless circumstances change) and just go where my heart and my head tell me. I have linked up with a long time friend, who I trust completely, who will buy land in the country she was born in, and I will develop the farm with a few well chosen friends. I need to find the air fare and some cash to support the trip, but I am hoping to embark in the new year. If my plan doesnt come off then what? Perhaps Cambodia (though I dont know it well enough), if I was in South America I think I would head towards Brazil... but I have no desire to return to South America, and if I am in Europe for some reason (I am keeping an eye on the middle east conflicts just for travel restrictions) then perhaps Spain or France. My travel days are over, I will be happy to stay in my next base and work from there. very nice to see you back! How beautiful experiences in traveling! Thank you for sharing your visited countries. Yes, your heart is your home and you know the best. I liked your description about New Zealand. Knowing your talents I think you would be happy there where you can share your knowledge and give to people what they are missing. People would love you. Welcome back to mists. nice to see you. 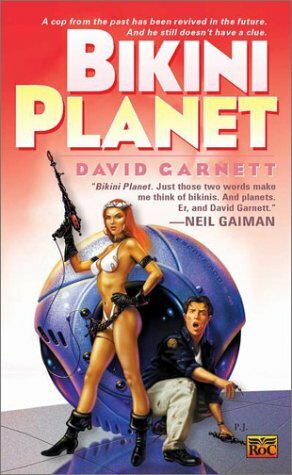 You could always join me on the Planet Bikini. Its great and free cocktails every wednesday. There is a 'get to know you' night for all new arrivals on the planet. Floyd wrote: You could always join me on the Planet Bikini. Its great and free cocktails every wednesday. There is a 'get to know you' night for all new arrivals on the planet. Just a little light heartedness whilst you deliberate on your choice. Bulgaria is beautiful and cheap if you want a budget location in Europe but the infrastructure is not great there. Property in Spain is very cheap especially inland but you need to chose your location carefully for growing if you want to be self sufficient in food. Spain is on my list of considerations. I have said that I think I could live anywhere. But it is the here and now that makes the difference. If you live in the best place in the world and you are not here and now. It could well be hell, as a perception rather than a really place. For now I am very Happy to be living here. But I would love to live everywhere else as well. Oh the choices. Scotland is where my Heart lies... and Scotland is where my Heart shall return. which can be used in travelling via lightbody to those points, even trilocation ect. . . When i steer my dreambodies to visit healingsites or specific charged sites, i tend to imagine to make a aura with a sonicsound screen aroud her to have the layer as a reflector/protector mirror. There have been wormhole like tunnels with bilocation and human receptors with instand recognition and spellbinding commune. I forsee the outlay of a starboardterminal inside the aura - similar to my tastatur on the PC - just made from standing lightwaves. Easy to use for interplanetary transsouled purposes. Homecoming of twinsouls! While my flame is Mother Earth, i send those snapshots of my holo-embeddedness onto all my relations and those suffering delusional consequences. This is a big forum,and I posted in the right place didnt I? For me the mists are become too foggy. To digress myself for a wee while, I have limited net access, I cant watch videos in here, so much of what is posted is lost to me.. I do try to keep up as I travel, this used to be a good place to spend time, and still is, I just have to wade through a lot of things I dont understand or cant follow up. Im not having a go at anyone.. but Eartheart I dont understand anything of what you just posted... i never did find an explanation of 'dimensions' i could follow or understand, so in the end I gave up looking and trust to my own world perceptions, what else is there?.. and anyway, slightly off topic perhaps? if I can summon a light body to take me east, then great, im stuck in the UK until i have the coin to leave the island, its a bit far to swim, even for a water creature such as myself. I just found this blog from BootsnAll which is nice .